My next project is another Shabby Streamside Studio. 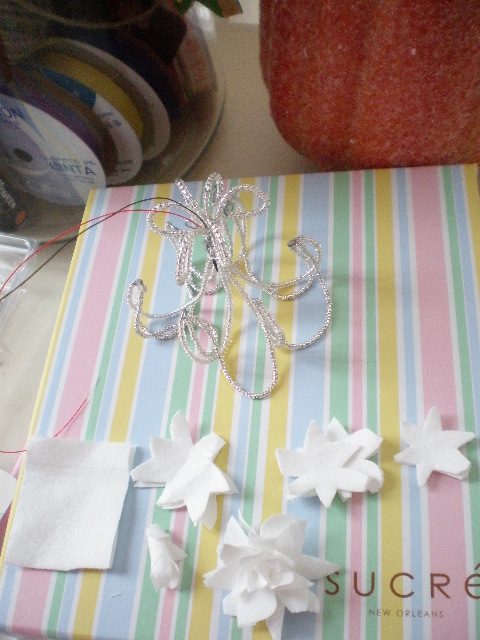 I'm starting by making the 3 chandeliers and the roses for the windows and chandelier. The roses are very simple. 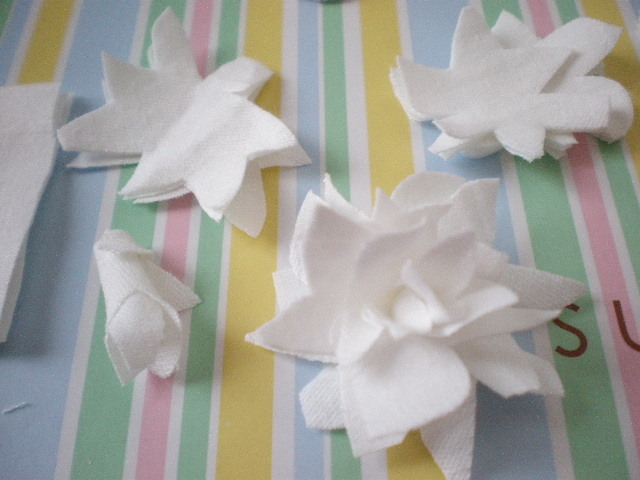 I cut out a flower shape out of cotton fabric, roll the first petal and add 3 more layers. 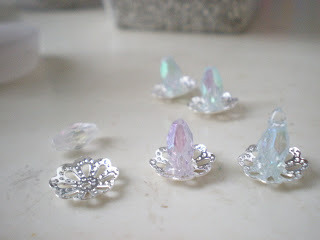 I make the candle parts with beads and jewelry making bits. The "bulb" part is hot glue I pull into a little drop shape. These 3 chandeliers will all have a little battery operated light. You are a magician! You work such magic with tiny things! 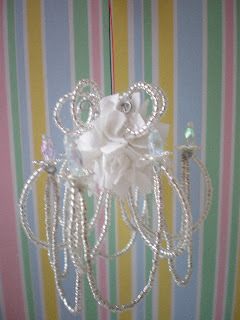 This chandelier is gorgeous and I love the fabric rose addition. It really lends an elegant touch. I agree with the first commenter! You ARE a magician!!!!!!!!! Love all that you do, dear buddy! Ow!Ow!OWWW! Hot glue pulling! Your fingers must be made of asbestos! I have the scars from many years of crafting with hot glue guns. "Count to 5 before it solidifies enough to rip it and your skin off" was my daily mantra. 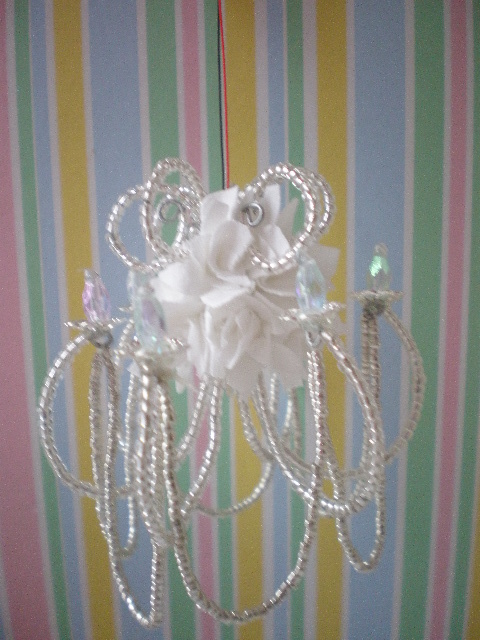 The chandy is looking absolutely divine! Que maravillosa lampara, gracias por la explicacion. I watch every day to see if you have more pictures and info on the "build". Tenho um presente para você, passa la no meu blog, beijos. 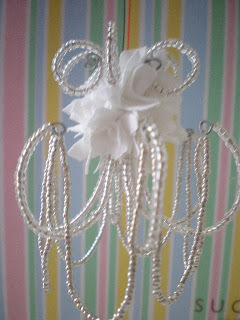 What a beautiful chandelier, and thank you for the explanation !! Wow! 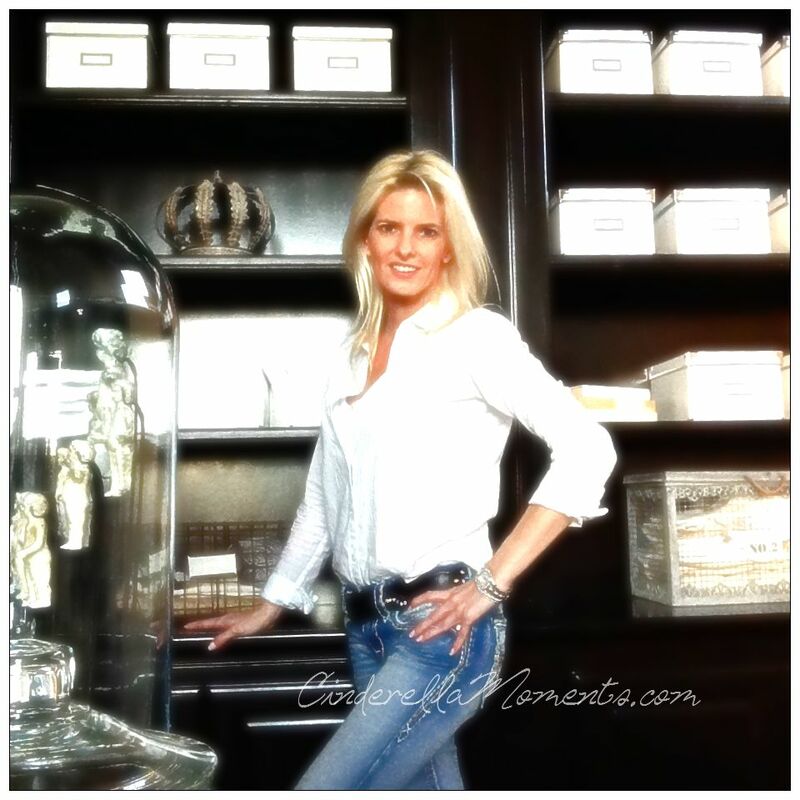 Your chandelier is gorgeous!